Hello everyone and welcome to the Maker Stead. It's been several months since my first video, so I thought I should update everyone on what's going on in the shop, and what I've been up to. Thank you guys so, so, very much. You know who you are. I greatly appreciate it. You don't even know! Now I did need to cut away some of the tabletop and one of the cross braces in order for the saw to fit, as well as cut some notches out of the front, 4x4's, so the saw would set level with the tabletop. There also needed to be a notch cut out of the tabletop to make allowance for the motor when the saw is set to a full 45 degrees. The last thing that needed to be done was add another piece of plywood to the benchtop. if you're keeping track that makes the benchtop 2 1/4" thick. I really hope I don't have to remove it anytime soon. I will be sure to go over all of this when I do the next table saw workbench video. 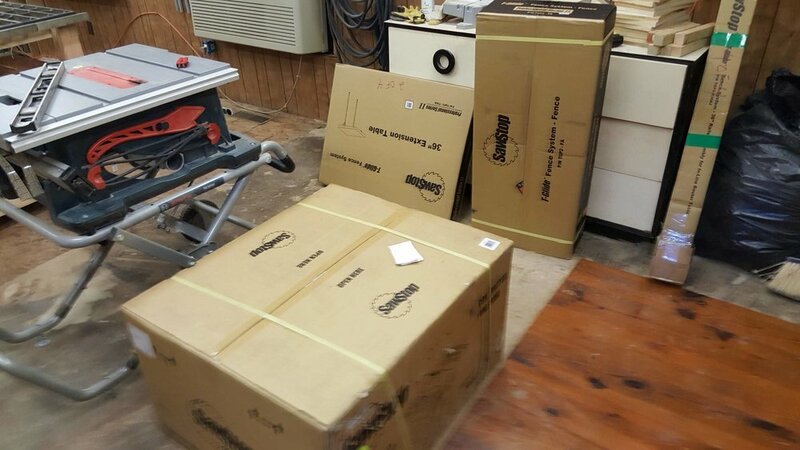 One of the things I'm super excited about that I saved up the money for and finally got put together is my Shapeoko XXL CNC machine. I had been wanting one of these for a very long time and am really looking forward to seeing what it can do. I have a fascination with desktop manufacturing, and between this and my Prusa MK2 3D printer I should be able to create some really interesting and fun stuff. 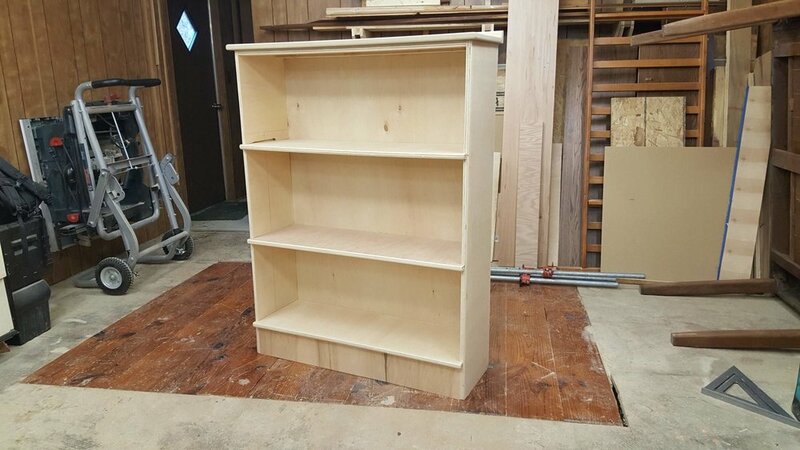 A couple of other small things I've been up to recently, are building a basic bookcase, a bed riser, and putting together some DIY LED countertop lights. I will probably end up doing a video on these. they turned out well and are far cheaper than the ones you can buy at your local home store. in 2019 I plan on doing quite a few shop builds including all of the additions and upgrades to the workbench, as well as several projects to help make my apartment space much more efficient, as well as incorporating some small electronics projects, and of course 3D printer and CNC projects. My goal for this year is to be able to put out a project video at the end of every month. I have several projects that I'm nearly ready to start on and I'm looking forward to showing them to you. Although I will probably be doing a disproportionate amount of woodworking projects, I would really like this space to expand and include a broader set of skills and explore various types of desktop and DIY manufacturing techniques. So, I hope all of that sounds interesting to you, and until next time, get out there, and let's make life awesome.